The snow is thawing in the afternoon sun. The daylight hours are getting longer and for the first time in over a month since I’ve been living in Gothenburg, the sky has stayed clear and blue all weekend. 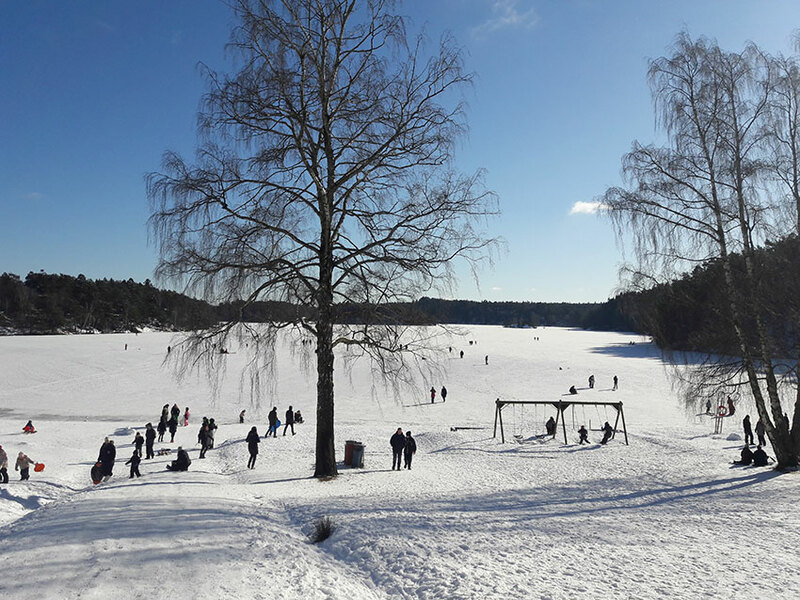 The Swedish spring is on its way! 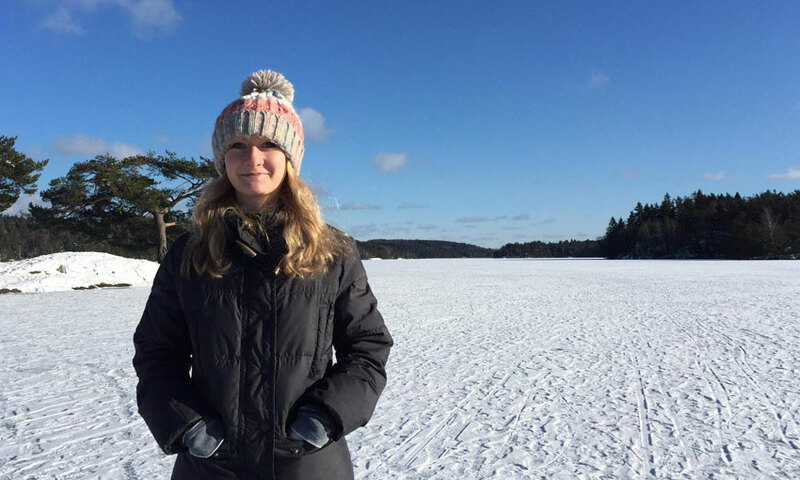 Described by Lonely Planet as ‘Stockholm’s cutting-edge alter ego’, Sweden’s coastal city of Gothenburg has been my home since mid-January when I moved here from Cardiff Met to spend some time studying Ceramic Design at Gothenburg University’s HDK through the Erasmus scheme. Although initially worried about loneliness living in a foreign country and leaving behind my great friends at home, this leap of faith into the unknown has so far proved to be one of the best decisions I’ve made. Already on our course we’ve had the privilege of taking part in workshops with a number of inspiring Swedish artists including potter Stefan Andersson and Matilda Haggärde, a ceramics performance artist currently working with the Gothenburg opera. In April we even have the opportunity to take part in an overnight wood firing at Nääs – the HDK’s anagama kiln site on the outskirts of the city, something I’ve dreamt of doing for years! Other activities in the Academy of Design and Crafts make an effort to bring together the local community and use art as a means towards a better society. I recently marched in the ‘River of Light’ procession to mark the UN’s World Day of Social Justice. 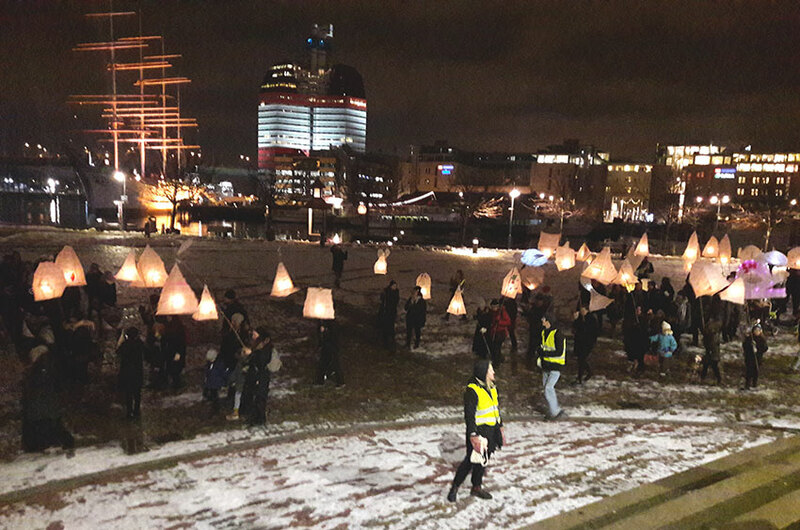 Hundreds of us took part in a walk with paper lanterns we’d made, all the way from the central Museum of Art to Gothenburg’s harbour. The ‘River of Light’ procession was a beautiful thing to be a part of. As an art student I’m spoilt for choice of places to source inspiration. Just south of the city centre lies one of the largest botanical gardens in Europe. Close to the river, occupying an old graffitied boiler house is the contemporary art gallery Röda Sten, and if I continue west from there I arrive at Gothenburg’s archipelago, a string of over 20 islands to explore. Activities such as parties and quiz nights are also frequently organised by our very welcoming International committee. In January we got to go and see a free film screening for Gothenburg’s annual film festival, the largest film event in Scandinavia! Coffee and pastries with friends – ‘Fika’ – is a very Swedish way to spend your spare time! But my favourite activity here by far is the Swedish tradition of ‘fika’, going to a café with friends and enjoying a cup of coffee accompanied by the traditional ‘kanelbullar’ (cinnamon roll) or as is eaten on Shrove Tuesday here, delicious cardamom flavoured buns filled with cream and almond paste called ‘semla’. The historical and picturesque Haga district, Gothenburg’s oldest suburb is one of the best places to go for fika. Once a bohemian hang-out place for hippies in the 60s, its streets are now home to stylish boutiques and antique shops. 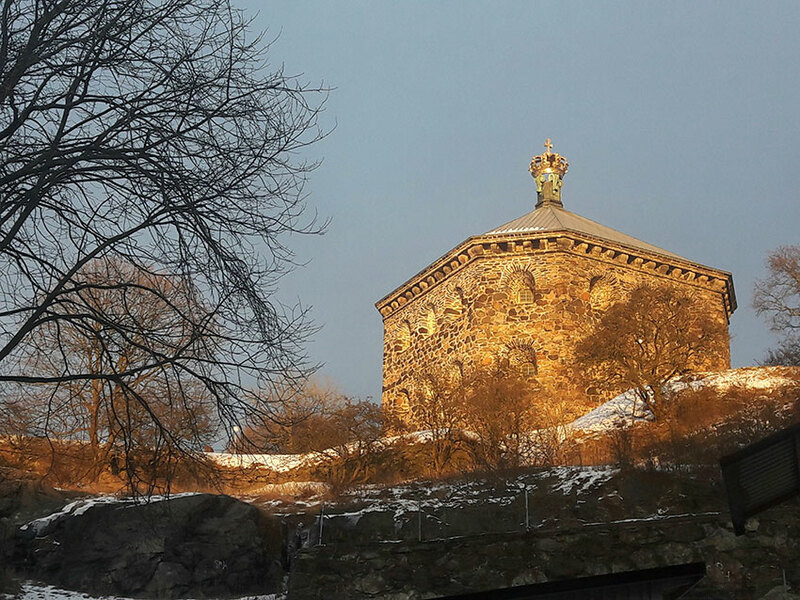 From here you can climb the steep ascent to Skansen Kronan, the old fortress overlooking the city’s patchwork of copper green and red tile rooftops. At the golden hour when the sun is just about to dip below the horizon the effect of the light is magical. 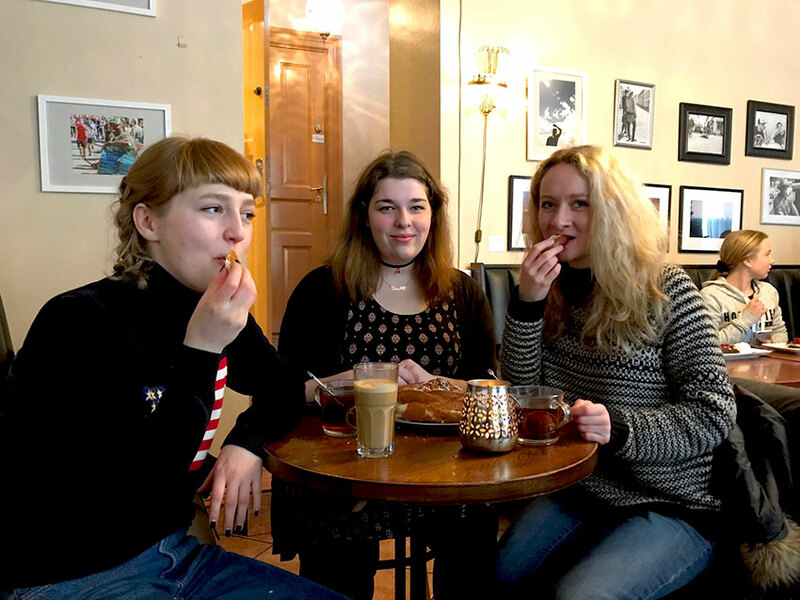 After a week of sculpting and building in the studio and twice-a-week Swedish lessons, it’s fun to relax with tea and biscuits at our local ‘Café Olof’. On Sunday nights it’s the place to be. Here international students from countries all around the world get together to play games and those of us who play instruments improvise along to an eclectic mix of rock, pop and jazz. My time in Sweden so far has been an experience to rival every other I’ve had in my life. I urge anyone who gets the offer to study abroad to seize the opportunity with both hands! Check out other posts from the Cardiff school of Art and Design, or read more about studying abroad.